A recent article in the Wilkes Journal-Patriot reports on the hard work of our partners in the North Carolina Forest Service (NCFS) Forest Health Branch. Since November, they have treated about 30,000 hemlocks in Rendezvous Mountain Educational State Forest in Purlear, NC! 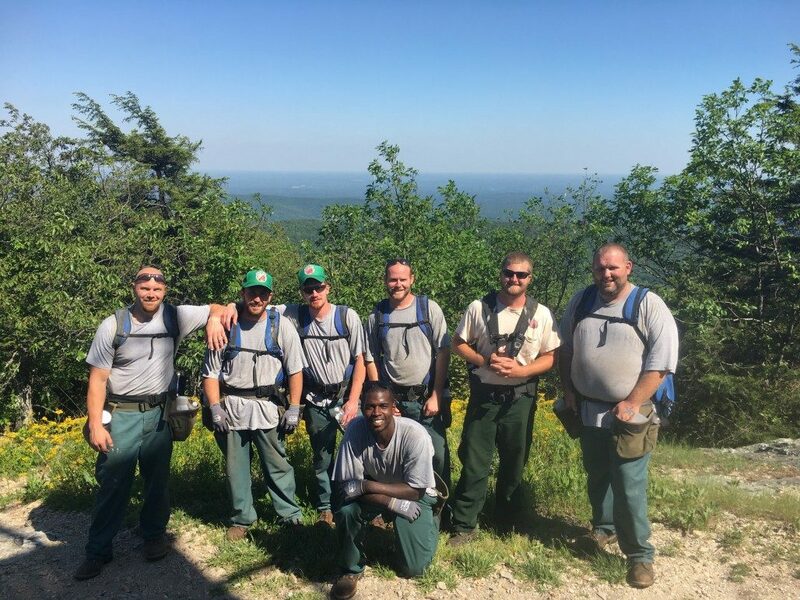 This scope of treatment would not be possible without the work of BRIDGE (Building, Rehabilitating, Instructing, Developing, Growing, Employing) crews through North Carolina’s Young Offenders Forest Conservation Program. BRIDGE crews, like the one pictured above, have been an integral part of the effort to treat tens of thousands of hemlocks in Rendezvous State Forest. To read the article in the Journal-Patriot, click here. Thanks to the N.C. Forest Service for their continued efforts in treating hemlocks!